Scenic destinations with giant white landmasses, a fair share of greenery, azure blue waters, and diverse wildlife… gear yourself up for Alaska. The magnificent destination offers a perfect mix of nature and experiences that are completely unfazed by the hectic urban life. On a terrain that can induce reverie to anyone on the face of the earth, The Last Frontier’s wide-ranging encounters have a special calling to globetrotters around the world. The mist of clouds embracing the splendid mountains, striking tundra of Denali National Park, the natural opulence of Juneau, Inside Passage where you are greeted by whales and Harbor seals, Alaskan Huskies pulling your sledge, grazing reindeers, the majestic Hubbard glacier, and more! 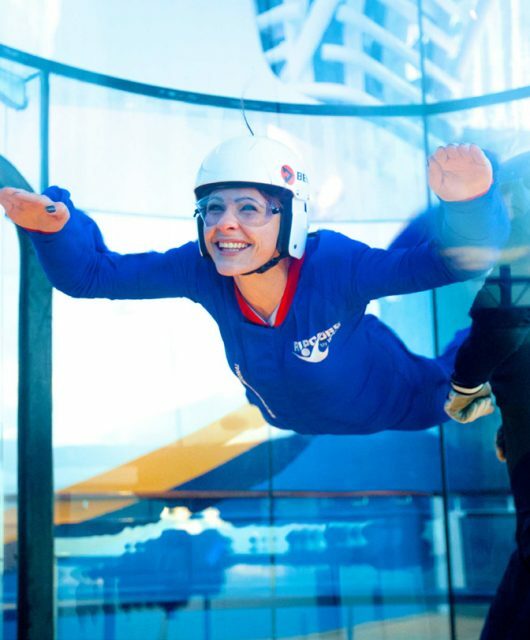 Add a hint of adventure sports, and you’re as close to a dream holiday as possible. But, it takes precision and experience to ensure that you are able to relish these experiences to the hilt. 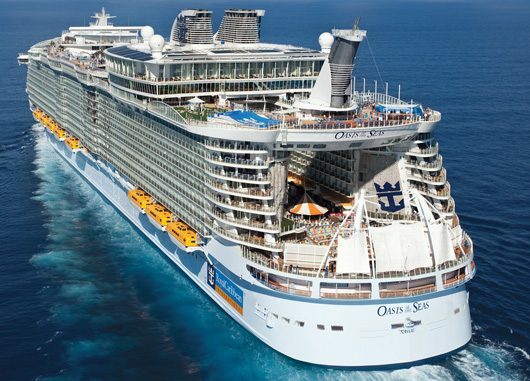 And Royal Caribbean International is the true master of the art. Apart from the above mentioned, get an unrivalled Alaskan encounter as you tread into wild woods in the glass-domed upper deck of luxury railcars. Participate in endless escapades from trekking, flightseeing to rafting, immersive city tours, and comfort yourself with luxurious retreats at some of the best resorts offering the perfect view of the region. On your trip to Alaska, RCI even offers you services of an Adventure Specialist, who gives you the perfect dose of history, culture, and traditions of the region. Widest Itineraries: It is a widespread misconception that Alaska is all about ice and snow. In reality, the region possesses some of the most iconic towns graced with scenic stretches. Travel to Chugach Mountains and seven hanging glaciers with Girdwood as your base camp; spend some time in Achorage amongst some of the most amicable people, and lodge into rustic-style buildings in Denali by the Nenana River. How about kayaking, canoeing, or rather sternwheelers cruising in Fairbanks, where you also get to visit the acclaimed Museum of the North? Untamed by the modern world, mountain biking at Kantisha and sipping coffee at the wooden resort later in the evening offers the perfect escape to the travellers. RCI offers you even more encounters at Seward – the Gateway to Kenai Fjords, and Talkeetna – the alluring small town. Luxurious cruise ships: A land of endless forests, enormous glaciers, and rivers covering thousands of kilometres… do not let Alaska intimidate you. Rather, enter the giant landmass in a fashion that truly resembles it! Jump onboard the majestic Explorer of the Seas – the largest ship sailing to the region – with 15 decks, 10 pools including whirlpools, 138,000 gross tonnage and a cruising speed of 22 knots. The 7 Night Alaska Glacier Cruise onboard Explorer of the Seas starts from 19 May 2017 onwards from Seattle. 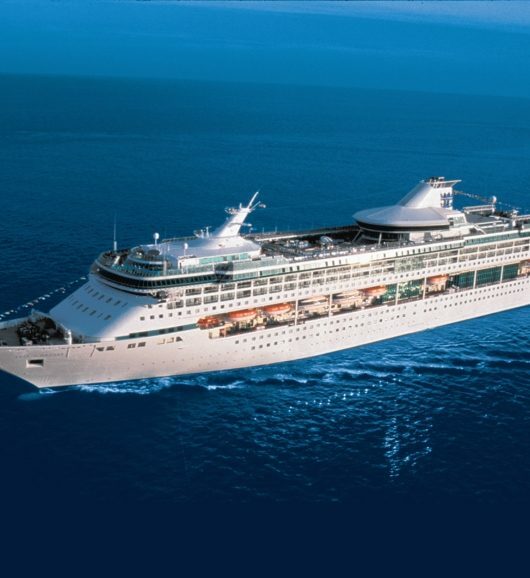 Radiance of the Seas, on the other hand, offers a dazzling at-sea experience that combines sleek swiftness, panoramic vistas, and an array of the best new dining options. With acres of glass enclosing the nine-story central atrium, elevators facing the sea, and floor-to-ceiling windows, you can soak as much of the breath-taking views on the way to Alaska as you want, every minute of your journey. 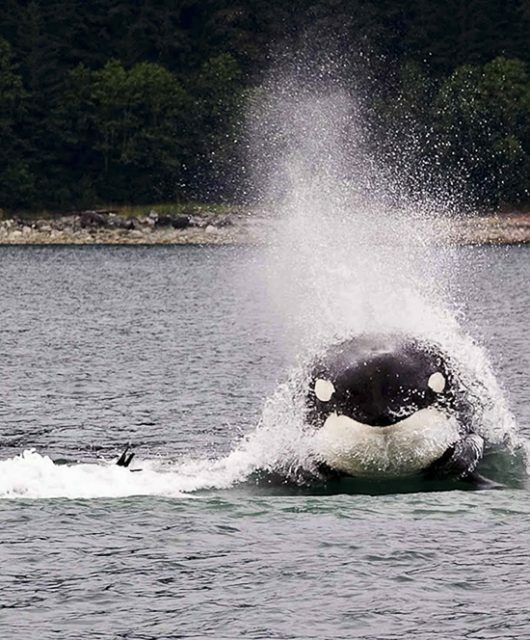 It offers you ample time to bask in your Alaskan adventure with 7-9 night itineraries. The 7-night Northbound Alaska and Hubbard Glacier Cruise starts from 2nd June, 2017 and the 9-Night Alaska Northern Glacier Cruise is scheduled on May 17, 2017. Radiance offers cruising options from Vancouver and Seaward. Remember the excitement about the destination while travelling to it, and the boredom as you return? Well, you experience none on a Royal Caribbean International ship. 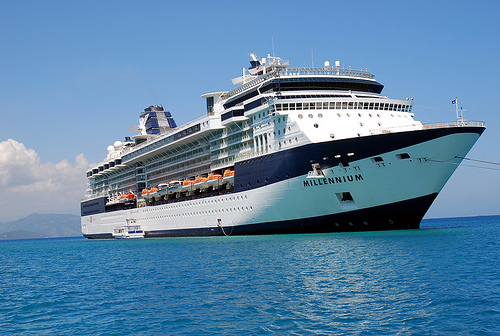 Your dream vacation, perhaps, begins as soon as you step onboard! Bathe in the luxurious whirlpools while enjoying a breath-taking view of the sea, or rather ride a well-swelled wave on FlowRider, the ultimate surf simulator. Royal Caribbean International ships are also home to wide-ranging shopping options and a 9,623 square foot Vegas-style casino. 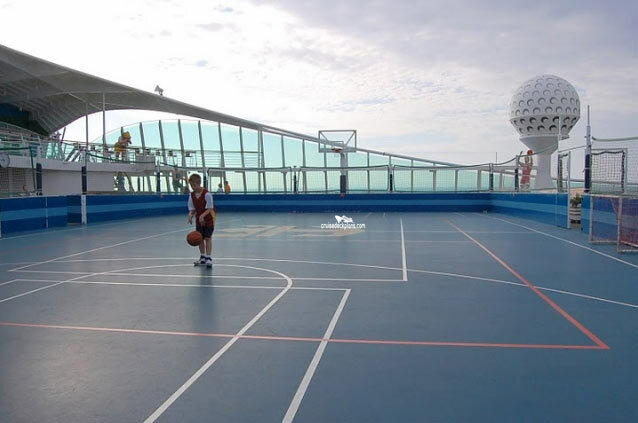 There’s even a full-sized basketball court and an ice skating rink available on the cruise ship. From yoga classes to Tai Chi, you name the experience, RCI has it! You can even learn a new language or attend guest lectures on your topic of interest onboard an RCI cruise. 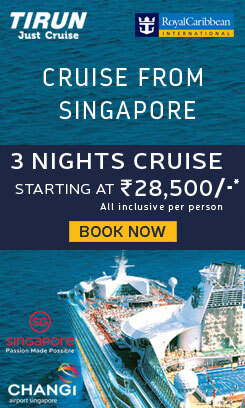 It’s hard to say any other cruise line will offer you that. RCI ships have some of the best dining options available on and off the sea. Allow Giovani’s Table to serve you prosciutto-wrapped mozzarella cheese with ciabatta, or head on to taste the finest sushi at Izumi. On a normal day, you would also like to dine casually at Johnny Rockets or grab your favourite Ben & Jerry’s as you walk across the glassed atrium. Anyhow, do not miss Wonderland, where you’ll experience a completely unique, immersive dining experience with shareable fantasies. There are 10 complementary dining options and 19 specialty dining options serving wide-ranging culinary stylesapart from world-class cuisines served at the main dining hall. Hold your horses, there’s more to it. The cruise line does not merely ensure that its entire ship is internet-enabledit also ensures that it matches the fast-paced lifestyles of its customers. Feel the power of VOOM, the fastest internet at sea, onboard an RCI ship. This technological marvel is six times as fast as the internet available on a typical cruise line. So, flaunt your selfie climbing a rock wall at sea or rather stream your favourite TV series reclining on the deck, do not let the sea limit you! Royal Caribbean International is world-renowned for its expertise in luxury travel, destination immersion, and extending comforts beyond imagination to its guests. Do not miss out on all the fun this season as two of RCI’s most luxurious ships with 7 & 9 night itineraries head towards Alaska beginning from May 17, 2017. Make sure you reserve your ticket before the ship gets fully booked. Experience the breath-taking splendours of the Galápagos Islands this summer with Celebrity Cruises!